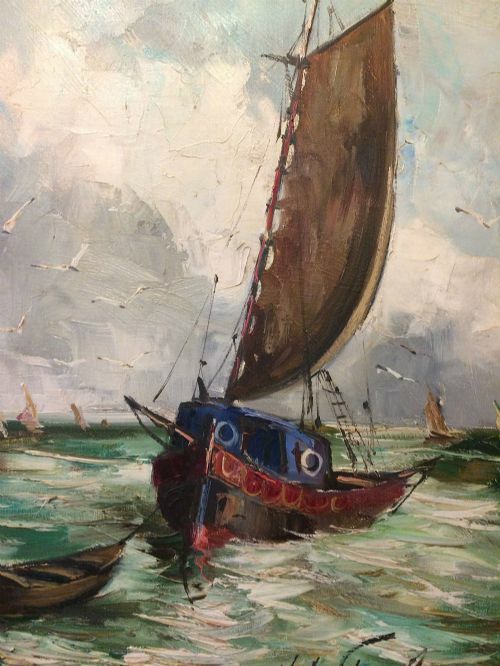 Large oil on canvas of a gaff rigged fishing boat. 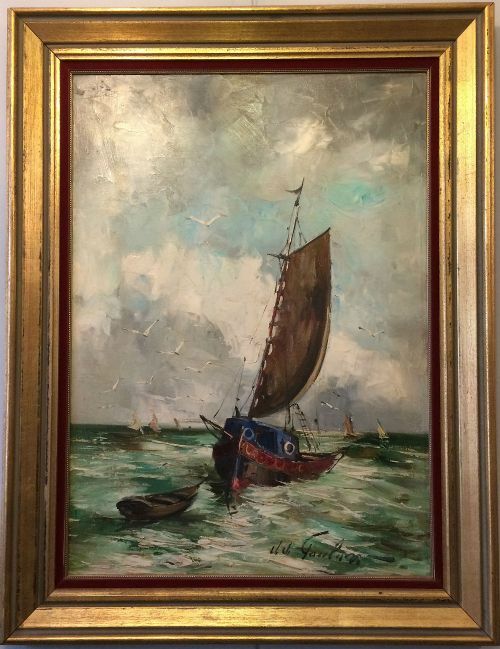 The oil on canvas is either French or Belgium, is signed by the artist and mounted in a quality gilt frame with a velvet slip. 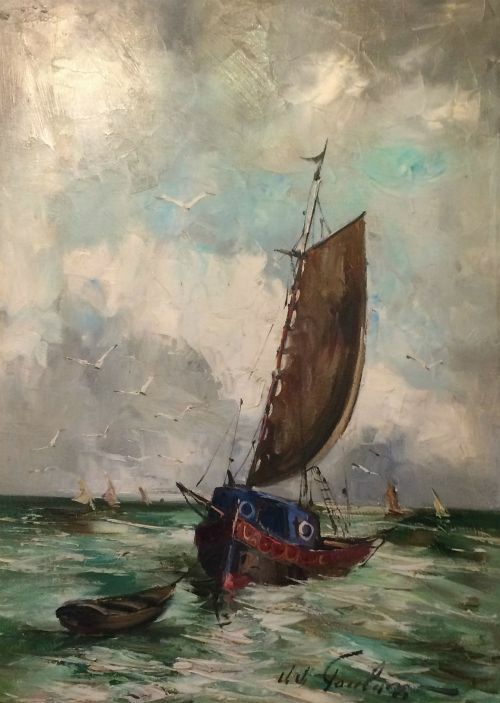 The painting probably dates from 1940 - 1950. 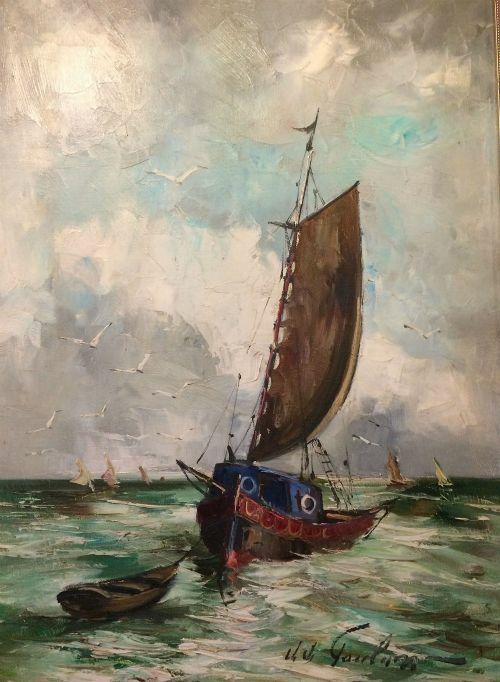 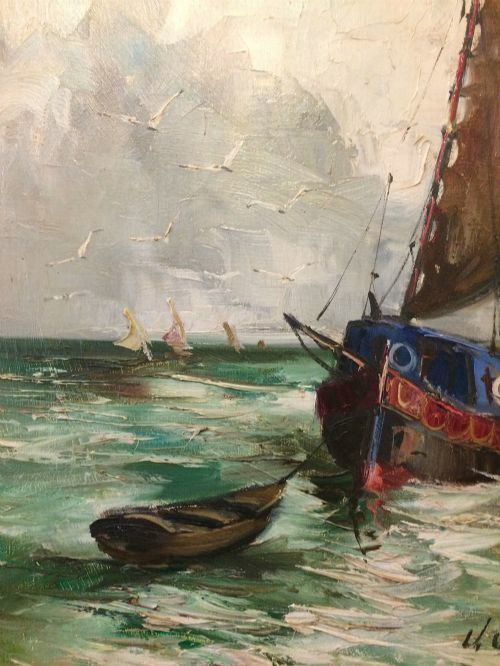 The Fishing Boat - Antique Oil Painting has been added to your saved items.